Quirky coasters add personality and fun to your home, not to mention protecting your surfaces from unsightly water rings, so we always like to stock up on sets of coasters to scatter around the home. 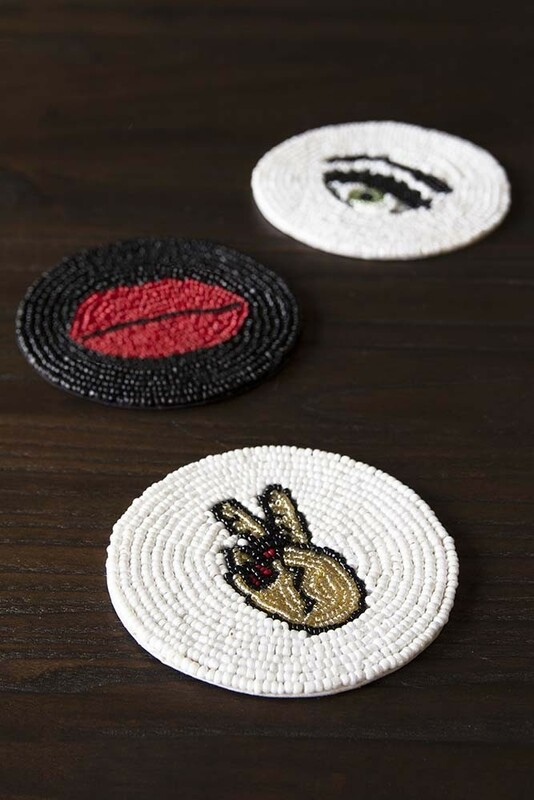 Part of the RSG own-design Beaded Accessories Collection, the Set of 3 Beaded Coasters come in three unique designs. 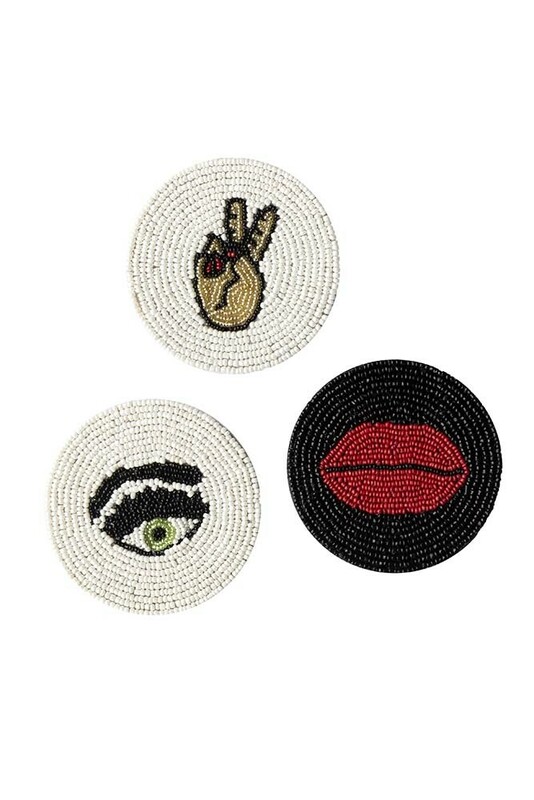 Featuring a black beaded coaster with red hot lips and two white beaded coasters; one with a sassy green eye and the other with a peace hand these unique coasters are like art for your coffee and side tables! A circular coaster the beautiful set would make a particularly lovely gift for the glamour god or goddess in your life! Part of the RSG Beaded Accessories Collection why not complete the set with our beaded placemats, coasters and cushions? !